Ping Express is a digital payment company within the international remittance space that specializes in secured, low-cost and highly efficient delivery of funds across the world. As a money transfer company, we provide services from the US, Canada, UK and 27 European countries to certain African countries, including Togo, Cameroun, Cote d’Ivoire, Nigeria and Ghana. The Ping Express platform was built out of Trust to provide a better and convenient way for people to easily support their family & friends at a reduced cost as many lives depend on such support. Through our business solutions, we support businesses in making payments and settlements to the US, Canada, UK, Nigeria, Ghana, Togo, Cameroun and many other countries at a significantly better exchange rate. We also designed a system to help other remittance companies secure their customers information and help make remittance simple with a state of the art risk detection remittance engine. As one of the leading software providers, we give you the option of customization based on your preference, while providing you with top of the line security. The simplicity of our money transfer application and risk detection engine is obvious in the design and practicability of the key features that sets it apart from the rest. From the very basic feature of user management to the complexities of KYC and AML management, Ping Express makes the money transfer business as easy as it ever gets. 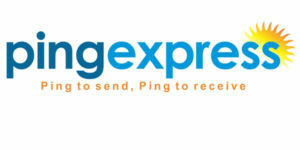 Founded by industry experts with decades of experience in the finance, technology and compliance industry – Ping Express packages the entire money transfer ecosystem in a box allowing for a speedy rollout and support for customers seeking instant and a reliable money transfer company and businesses seeking aggressive growth.